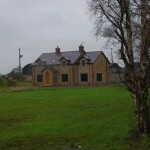 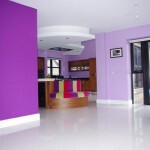 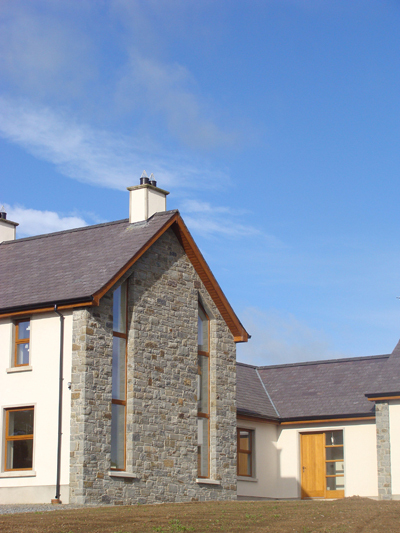 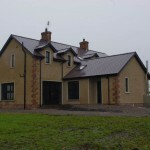 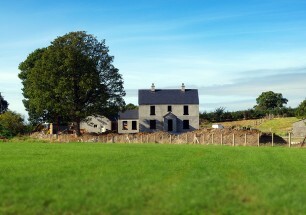 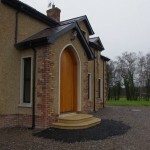 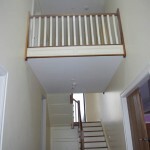 This is a very recently completed replacement dwelling on a farm in rural Co Tyrone. 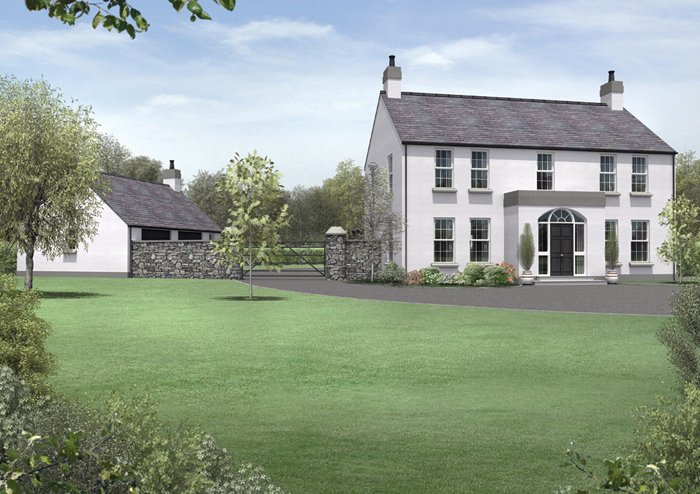 We successfully obtained Full Planning Approval for the replacement of a small single storey cottage with this considerably larger 2,750 square foot 1 1/2 storey dwelling. 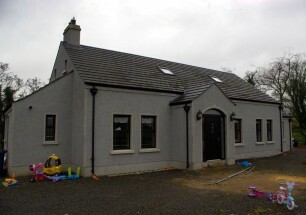 The traditional exterior belies a very contemporary interior with a spectacular open plan kitchen – dining – living area which forms the heart of this home. 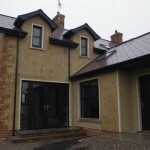 The clients have just moved in and there is still quite a bit to do but so far they are delighted with the house, especially the flow of space and light. 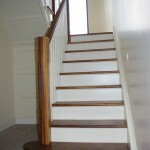 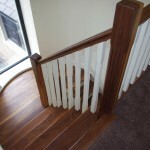 The entrance hall features a solid timber stair with curved landing and a gallery at first floor level creating a very spacious, light filled, circulation space. 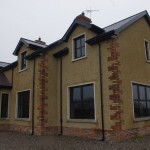 Although planned back in 2008 this house would easily pass the new 2012 Building Regulations with regard to energy efficiency and the clients are delighted that although their new house is three times bigger than the house we replaced their heating bills have actually reduced! 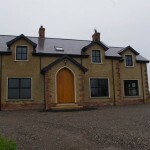 This dwelling was built by J B Bentley & Sons and as usual their workmanship exudes quality throughout with exceptional finish and attention to detail. 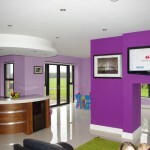 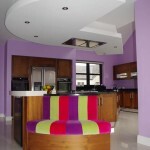 The stunning kitchen which makes this house truly special is from Hannaway Kitchens of Hilltown.